I’ve been thinking about re-doing my basement now that the kids and husband are out of the house (just kidding about the husband, but he is working late nights). 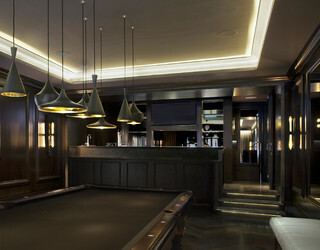 I have come across this amazing basement for my inspiration! Have a small bathroom? I read an article today that discusses how you can make the most out of your tiny bathroom.